This week’s news includes; Sears goes bankrupt, Canada legalises recreational cannabis, eBay sues Amazon for poaching its sellers and Netflix profits surge. 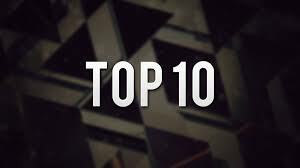 Below are our top 10 stories that you need to know about. Be sure to check our twitter page and Facebook page for regular posts of important headlines. Get all the important stories and insights straight into your inbox by subscribing to our mailing list here. The Hill JPMorgan says US economy has better than 50/50 chance of recession in next two years. BBC News What business does the UK do with Saudi Arabia? Legal Cheek Brexit is bringing new opportunities to Dublin, say top lawyers. US department store giant Sears has filed for bankruptcy. After failing to make a $134 million repayment, the company filed for Chapter 11 bankruptcy protection. Chapter 11 protection delays any repayment obligations owed to creditors in an attempt to keep the company alive. This allows the debtor to sell assets or reorganise debts to try to meet these obligations. Sear’s had previously tried to restructure its whopping $6 billion debt but has failed to do so. Now, 142 unprofitable stores will shut by the end of the year, in addition to the 46 previously earmarked for closure. Sears has been shedding jobs in recent years as the retail giant fell into a downward spiral. Consumer footfall at the department store has been decreasing massively due to increased online competition. This was exacerbated by severe underinvestment in stores and a failure to keep up with trends. In the last five years alone, Sears has cut 160,000 jobs, down to 90,000. This was the result of a catastrophic few years financially. In the space of 3 years, revenue halved, falling by $14.5 billion to $16.7 billion in 2017. In a bid to raise capital Sears sold off many of its prime locations. With less stores came less prominence and the allure of Sears continued to dwindle. As of August 2018, Sears had 860 stores with over 1,000 stores closing in the three preceding years. This is dwarfed by Walmart’s 5000 stores and Target’s 1800 outlets. Canada has become the second country in the world to legalise sale of cannabis for recreational use. The world will be watching closely. Uruguay is the only other country where the licensed sale of cannabis is permitted nationwide. Only 9 US states have legalised recreational marijuana use. Canada has now become the first major economy to do so. There has been much preparation for the legalisation of cannabis. Cannabis is only permitted to be bought and sold and consumed in designated areas. There are very few licensed retailers currently open; there is only one legal store in the whole province. In some provinces however, licensed online sales have already begun. There are a number of unlicensed stores which have been profitable to date but could be shut down. Despite this, sales were so high in the first two days of legalisation, many shops ran out of supply. The financial gains from the legalisation will be closely monitored. Deloitte predicts that legal marijuana will become a £3.5 billion industry next year. The Canadian government expects to raise $400 million year in tax revenue. Critics have raised concerns about the health risks of marijuana and potentially increased numbers of intoxicated drivers. Sky News looks at whether legal cannabis could be a pot of gold. eBay has sued Amazon for allegedly poaching it’s sellers. Amazon representatives allegedly created eBay accounts and approached sellers on the platform to entice them to sell on Amazon. This eBay claims this is in direct contravention of its user agreement. Sellers were contacted over the phone to avoid eBay’s servers picking up the activity. eBay describes it as an orchestrated, coordinated, worldwide campaign to illegally lure eBay sellers to sell on Amazon. The scheme was only uncovered after a seller contacted eBay to inform them that they had been approached by a Amazon representative through the platform. eBay seeks compensation of an undisclosed figure and to stop Amazon persisting in the practice. Last month, eBay contacted Amazon demanding an end to the practice but has now filed a lawsuit. Amazon says it’s investigating the matter. eBay, founded in 1995 turned over $9 billion in 2017. By comparison, Amazon turned over $52 billion last quarter alone. Uber is gearing up for its IPO and it may be valued at $120 billion. A number of US banks are lining up to lead the process. Goldman Sachs and Morgan Stanley are favourites to secure the top positions. Despite Uber’s massive valuation and $7.5 billion annual revenue, it still is largely unprofitable and posted a $891 million loss last quarter. Netflix shares soared last week as its growth figures smashed expectations. Over seven million subscribers were added in the last quarter taking Netflix’s total to 137 million. 135 million of these subscribers all pay monthly fees. What also stood out was the addition of non-US subscribers, a testament to its global expansion. Over 1 million new subscribers were from the US and 5.9 million subscribers from abroad were added. Share prices rose by as much as 14% in response to the news. Netflix has been investing heavily in its own original content and this investment is paying off. It aims to spend up to $8 billion on content in 2018, with over $2 billion spent on original content. Netflix’s revenue grew 34% to $4 billion. These results helped Netflix bounce back from a weak second quarter. Amazon has announced plans to add over 1000 jobs in the UK. Over 600 “highly skilled” jobs will be created in Manchester. These will be in Amazon’s software, machine learning and cloud computing business. Other jobs will be added in the Edinburgh and Cambridge. Amazon describes these additions as “Silicon Valley jobs in Britain”. This will bring the tech giants total UK headcount to 27500 by the end of 2018 and it will have over 100 buildings. It recently increased minimum wages for its UK and US workers. Tesla is to release a new cheaper variety of the model 3. It is officially priced at $45,000 but advertised at $30,700 once incentives and fuel savings are taken into account. Tesla’s ad campaign has centred on its model 3 priced at just $35,000. A model this cheap is yet to be released. The most powerful version of the Model 3 released costs roughly $78,000. Last quarter, Tesla met it’s ambitious production targets of 50,000 models. This boosted investor confidence but many analysts question the sustainability of this production. It is also worth noting how far production is from demand. From the initial pre-sale of Tesla’s model 3, it instantly became the most popular car ever. Over 500,000 pre-orders were booked in a few months. For more on Tesla, check out our company watch page. Asos posted strong sales figures, beating analysts’ expectations. In the year to August 2018, Asos posted sales of £2.4 billion, up by nearly 25%. Profits were also up 28% to £102 million. Sales of its inclusive fit sizes (tall, plus-size etc) were up by 37%. Share prices rose by 15% in response to the news. Asos is worth roughly £4.2 billion. Despite this growth, Asos shares are still 10% lower than at the start of the year. Asos have been a leader the online sales revolution. Traditional fashion retailers have been slumping in recent years, shutting stores and cutting jobs. Conversely, Asos’s revenue has grown by over 20% per year over the past three years.